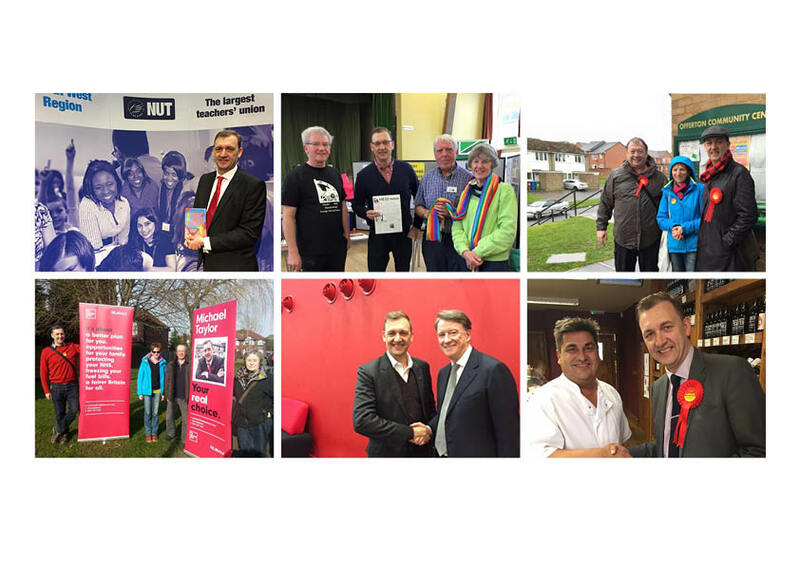 When I rejoined the Labour Party last year it was very much with the General Election of 2015 in mind, but as a member of the campaign team. Expectations in the constituency were incredibly low. 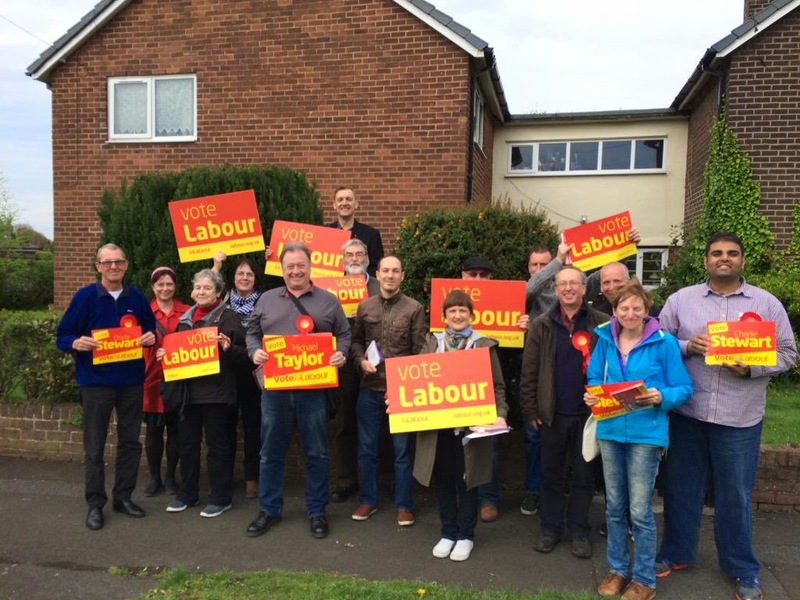 But I had started to look at how we filled the void in ideas and campaign strategy and thought how we could set a number of different targets and objectives for the existing candidate - building the party, energising the membership and taking a different approach to how Labour does community campaigning. 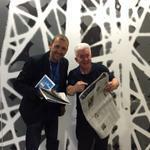 At the 2014 conference I came across some great ideas. Liz Kendall talked about imaginative public service reform, I went to a really inspiring talk by Maurice Glasman on community campaigning and facing up to the UKIP challenge. Fired up by this we convened a street stall in the centre of Marple the following Saturday, where the intention was to start a conversation with the public. To ask, rather than tell. Listen, rather than speak. As Maurice said, the average amount of time it takes a Labour activist to interrupt someone in the flow of telling them something that is important to them is about 8 seconds. The time where an intervention is in any way useful, is about 30 seconds. Anyway, the candidate never turned up and it later transpired that she'd quit the party altogether over a dispute I never understood that had nothing to do with politics. I worried though about what might happen next. It was likely a new candidate could be parachuted in from outside with no local knowledge, with the clock ticking towards May 2015. At the same time an Ashcroft poll had us in a poor FOURTH place behind UKIP. We were in danger of losing valuable time. So, given I'd factored in the time to give my all for the campaign for Labour for this election, it didn't take me long to think about putting my name forward and on December the 6th, just five months from polling day, I was selected. Now, I'm not going to take you through a blow by blow account of what happened in our campaign, but that long introduction provides an important context for how this came about and how I came to be candidate and how my ideas for the campaign developed. I have had limited experience of political campaigning, but if this campaign was going to be about anything it was party building and gathering the talents. I had 5 months to convince 10,000 Liberal Democrat voters that voting the same way would get them a Conservative government. So, I loaded up my iPod, plugged in my headphones and started delivering leaflets and knocking on doors right across the constituency. It was pretty clear that we would get limited support from the national or regional Labour machine, we weren't in any way, shape or form a target seat. Tony Blair didn't send me £1,000. 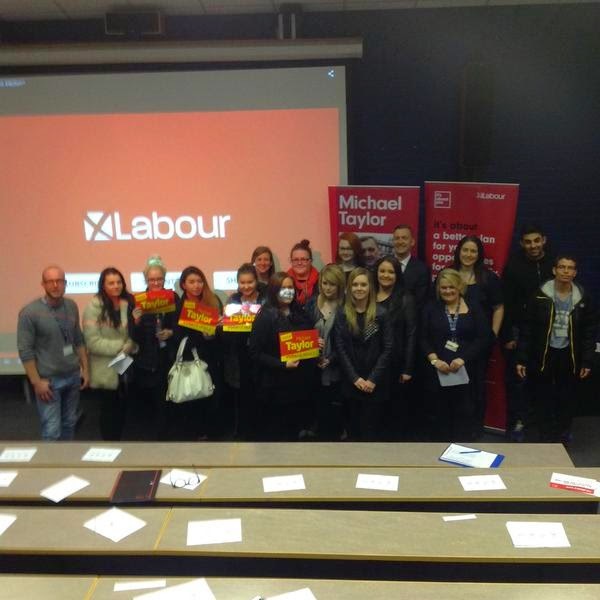 We went to candidate briefings where our members were encouraged to get on a bus to Crewe. All the top Tories and Liberal Democrats visited Hazel Grove, or in the case of Nick Clegg, he launched the campaign in a pub car park in Hyde, in the wrong constituency. And while the Liberals could pump out a leaflet every other day and pay some company to deliver them, we had to do it all ourselves. 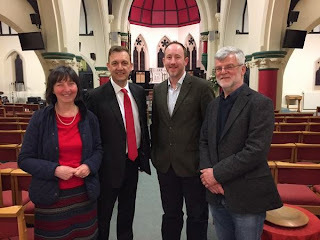 To be fair, we got great support from the Stockport Local Campaign Forum in our target wards and I was chuffed at the support from Jonathan Reynolds MP and his team when he came over to meet environmental campaigners locally. But we needed to recruit a volunteer army locally and from beyond our regular pool. Our greatest strength was going to be our people and their talents. I had to embrace our outlier status, not resent it. If the rest of the party wasn't looking, we had a chance to do something different and "off message". What I lacked in campaign experience, I needed to make up in using what else we had in our locker. My business, branding, communication and consultative skills. Bizarrely, I'd been engaged on a detailed project looking at the future for a professional institute. I'd become marinaded in the literature of the future, how technology was changing work and how services are delivered, how the age of social media requires MORE contact, not less, how mainstream media and bloggers have parity of influence. I engaged with bloggers wherever I could, going to them, not inviting them to come to me. In David Rowbottom, an English teacher, we had a superb copywriter. I had offers of help from friends, notably Ami Guest and Ade Newell from True North who worked with me on a campaign brand (see video below). We went relentlessly positive - offering a vision of the future for families, offering hope, not distrust and we also avoided personal attacks and presented our case as rooted and authentic. We came up with "It's about you" as our theme. 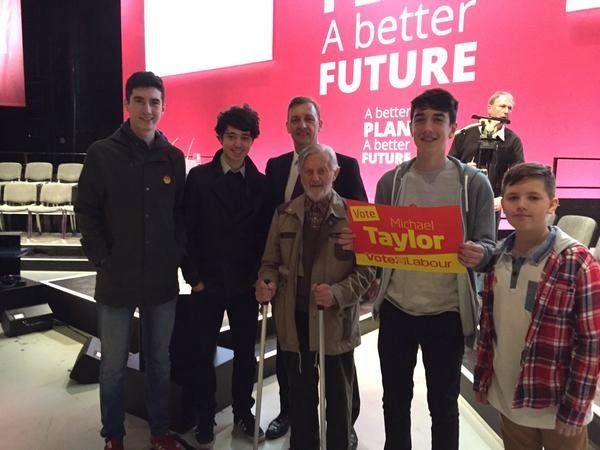 Michael Taylor Campaign Case study film from True North on Vimeo. What I hadn't bargained for was the extent of the relentless Liberal Democrat squeeze on our vote and a determined effort to discourage our voters and push tactical voting. The Lib Dems fought Hazel Grove like it was a by-election, pumping out mountains of leaflets pushing the (dubious) local credentials of their candidate, stretching their credibility with a confected personal history. Their bar charts pushed the line that "Labour can't win here" - a drumbeat that a Labour vote was a wasted vote. 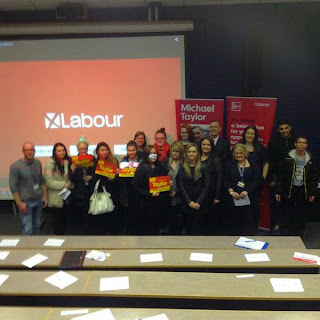 We were told to expect a dirty trick and it came with a few weeks to go when a deliberately misleading letter from the previous Labour candidate, a so-called lifelong "Labour" supporter, that she "now" was backing the LibDems (a week later she announced she had joined them, proving it was a calculated stunt, probably dating back to that non-appearance at our street stall after conference, rather than the last minute heartfelt plea it was dressed up as). Bizarrely, hilariously, it had the opposite effect - our members were upset at this betrayal, loyal voters were angered and yet more volunteers came forward. True, some people contacted us in shock, thinking it was Labour giving up the campaign, not picking up on the detail. Instead we came out fighting and refuted it, but it was a dreadful distraction and something I truly hope the Liberals realise marked a low water mark in political campaigning. I did 7 public debates with rival candidates, many more events with members of the public and made our four regular weekend street stalls the centrepiece of the campaign, launching our short campaign by speaking on my Dad's upturned milk crate on Market Street, Marple on a wet Saturday in March. The debates were a new experience for me, but I relished it and seemed to do OK, getting decent reviews and recruiting new members to the campaign. I was determined to be honest and authentic, answering questions directly and tackling the other candidates on the record of their parties and what they were claiming. Two of them were Churches Together hustings and I knew that I would face questions that would highlight my stance on moral and ethical issues that I could either waffle around, or be straight about where I differ from mainstream opinion. On the whole it was civil rather than cerebral, the Tory candidate lent me his pen when mine ran out, and I gave the Green candidate a lift home (in my Prius, he approved), but it is what politics should be about and I welcomed the chance. If I have one regret at my conduct it was playing to the gallery and being rude to the UKIP candidate when I knew he was on the rack at a teacher's hustings. I was determined to get young people involved in the campaign and put their talents to good use - but it's a lot to ask an 18 year old to knock on doors and get told to sod off. This is an area we still need to work on. Politics is a contact sport, but there are so many ways of engaging we could do much better at in the future. I was delighted, for instance, that Joe Barratt offered to help and produced this little film of us talking through the issues. We started from zero and made it to the end with our heads held high, increasing our vote by 50 per cent, mostly at the expense of the Liberal Democrats, but we probably shipped half as many again to UKIP. We fought a good campaign. We were rough around the edges at times, a bit ragged in some of our data gathering techniques, but there isn't a single one of us who could have done more and none of us don't think we've grown and learned more about ourselves in the process. And the greatest thing about it was that we're going to build on this for the future as good friends and comrades.